The availability of β-carotene from Spirulina as compared to standard all trans β-carotene was studied by the liver and kidney vitamin A storage method. After 21 days of vitamin A depletion, the rats were repleted with β-carotene from Spirulina and a standard source at two dietary levels (60 and 120 µg/day) for a 10 day period. At lower levels, the liver storage levels of vitamin A and the percent of β-carotene absorption were comparable to those of the standard. At higher levels both these parameters of the Spirulina fed group were significantly (P<0.01) inferior to the standard source fed group. 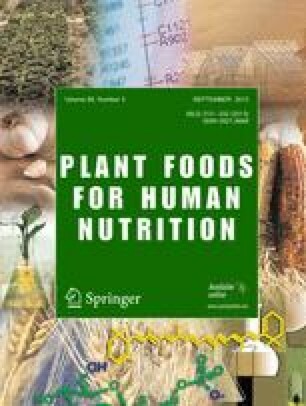 However, the Spirulina fed group showed better (P<0.05) growth than the standard fed group did at both low and high levels of feeding.